The history often intrigues me and leaves me to ponder what lead to the thought that resulted in the construction of this marvelous architectural monument. Today with the advancement of technology and latest machines the construction takes so little time but in the ancient times it must have been so difficult to even think of making a monument. 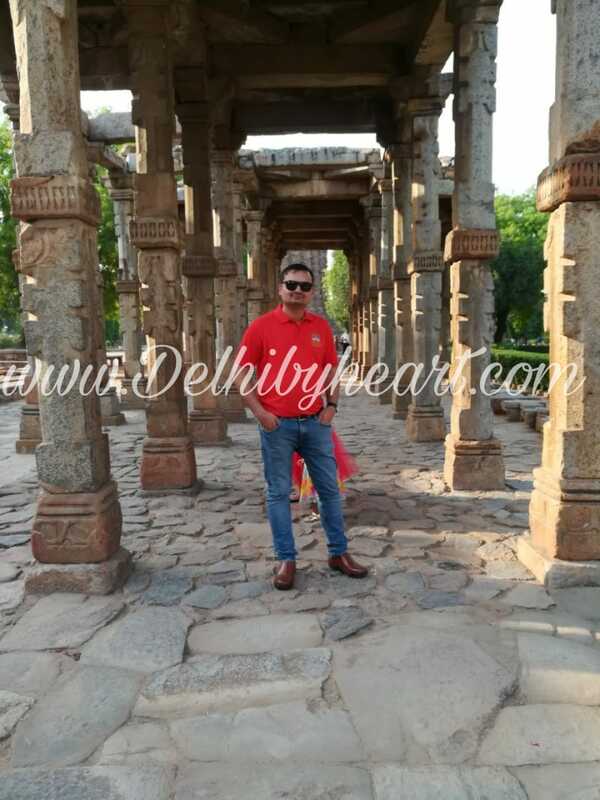 Delhi has its own old world charm in the hustle bustle of city it these monuments that remind you off the peace and help you to sneak peak in to the glorious history. I have always believed in pro parenting and taking my kids to these places for outing has been a passion for me. I am proud of the magnificent history that my city beholds and offers to the world to view. It is truly relaxing and informative to visit the historical monuments. 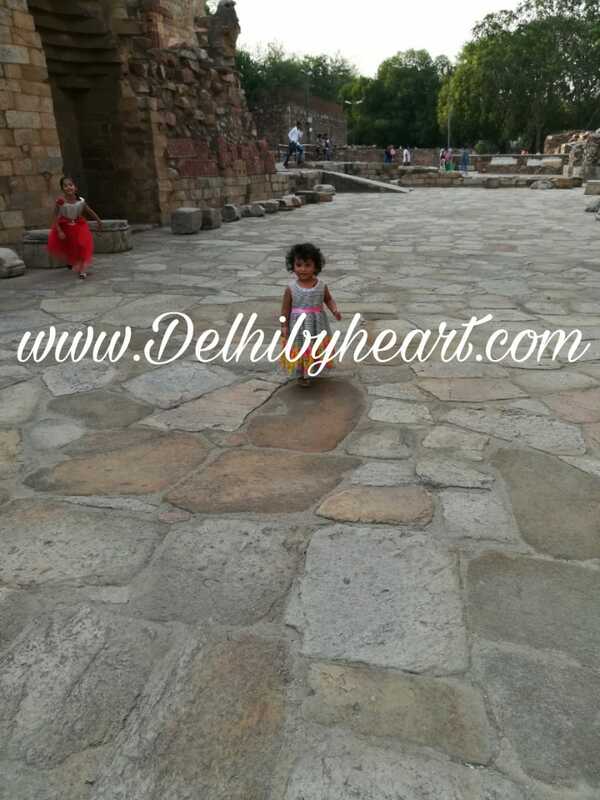 Therefore on fine Saturday when the weather was exceptionally good I decided to visit Qutub Minar with my kids and husband and I think it to be one of the wise decisions that I have taken. Built by Qutb –ud- din –Aibak to mark the start of Muslim rule in India. The construction took years to be done and thus was not complete in his lifetime. The fifth and the last storey was constructed by Firoz Shah Tughlak. The other monument in the complex are Alai Minar, this is believed to be Ala- ud- din- Khilji’s failed effort to construct a similar tower twice the height of the Qutub Minar. 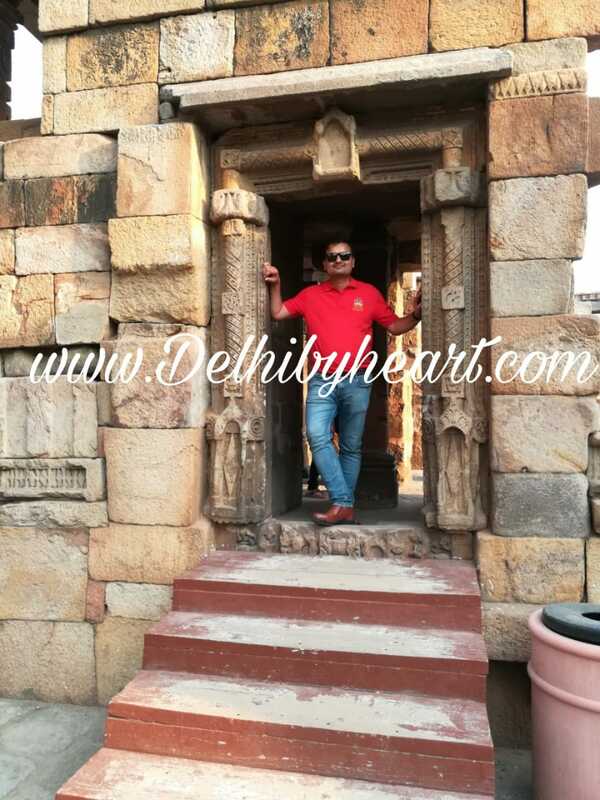 Alai Darwaza an mezmerising architectural beauty done in red stone. What has left all the scientists and me in serious thinking is the Iron Pillar, that is said to be made of 98% pure iron and has not corroded for the last 1600 years and talk of my kitchen steel utensils they give me a daily nightmare of getting corroded. It is believed that if one can embrace the iron pillar from his hands his wishes are bound to be fulfilled. Another interesting monument in the complex is the grave of Ala- ud- din Khilji, A quadrangle enclosed with high walls and rooms was initially a muslim learning center but then converted to his tomb. ENTRY FEE: Rs. 30 for all indian citizens and children 15 years are allowed free entry. Tough the foreigners are to pay Rs. 500. HOW TO REACH: Cabs and autos are easily available to reach here. The nearest metro station is the Qutub Minar station. 2] the Minar has beautiful carvings that depict the teachings of Holy Quran and this is so interesting. Each floor has balconies and they have exclusive artworks that will leave you gaping and wondering. 3] I also found it interesting that the sixth floor that was added but the result has also been kept in the complex and it can also be viewed. The monument proves and speaks of the glorious history and leaves me wondering what must the people standing at the balcony of the minar often think. Though these days they do not allow you to climb up and depresses me. But as we sit in the garden my mind drifts to the beautiful thought that people standing in the tall tower would get.